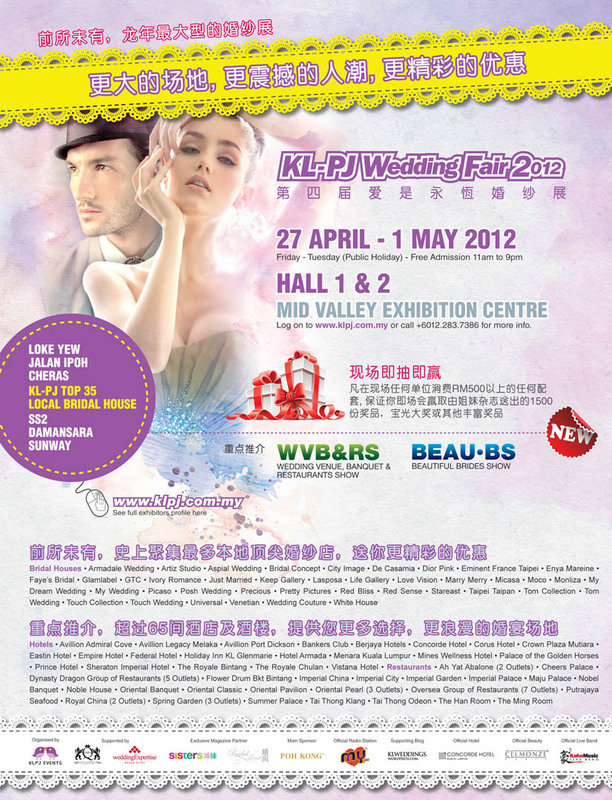 4th KL-PJ Wedding Fair 2012, the largest and most anticipated wedding expo in KL in the year of Dragon – 2012, featuring the renowned KL-PJ Top 35 Local Bridal Houses from SS2, Damansara, Sunway, Jalan Ipoh, Loke Yew and Cheras. It will be the largest ever gathering of all local bridal houses from KL and PJ – a secure and comfort platform with no oversea bridal house. Also incorporating Wedding Venue, Banquet & Restaurants Show (WVB&RS) and Beautiful Brides Show (BEAU.BS). 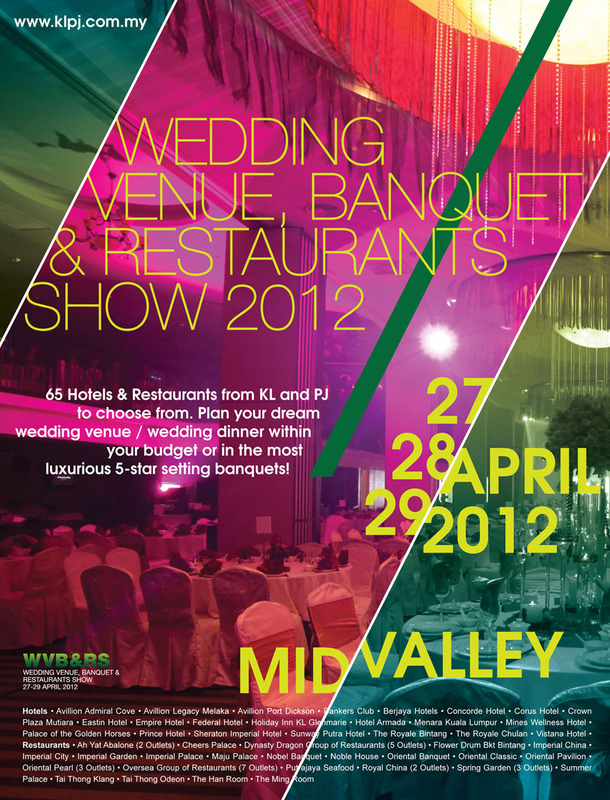 WVB&RS – More than 65 Hotels & Restaurants from KL and PJ to choose from for your wedding dinner. Plan your dream wedding venue / wedding dinner within your budget or in the most luxurious 5-star setting banquets! – See below for the list of 65 Hotels & Restaurants (Exhibitors). BEAU.BS – Be pampered and be spoilt for choices with an array of beauty products and services to make you the super-beautiful bride of the day! Visit http://www.klpj.com.my to see all exhibitors profile. If I want to join as a part-time model in the above event, how do I apply?